I’m always on the look out for easy science experiment ideas! My requirements are simple. The experiments we complete here need to be easy to prep and even easier to execute. Here’s a few simple science experiments to do with your family this spring. Test the pH level of your water. This is so simple to do and it’s an experiment the whole family will find interesting! All you need is an inexpensive water test kit and a few different types of water samples. Use the test strips or drops from your kit to check the pH level in your water samples. Compare tap water, a few different brands of bottled water, and water from a filtered jug. How do the samples compare? Is all that bottled water you’re buying really necessary? What is pH in water and why should we care? I love this science experiment because it’s something we all find interesting and it’s easy to prepare. Under the microscope: If you have a microscope at home take it one step further and “dissect” the filter from your water pitcher to see what’s inside! Perform a DIY home energy audit. This is a great way to see how energy is being used (or wasted) in your home. Check your appliances, seals on windows and doors, and switch old light bulbs out with energy efficient bulbs. Take it one step further and hire a professional to come out and do an inspection. You’ll likely receive a print out with results to use for your research. After completing your home energy audit, make changes around the house to conserve energy. Commit as a family to keep each other accountable and chart your results over the next two months. What can you do around the house? Add weather stripping to windows and doors. Cut down on shower time. Unplug appliances and electronics you’re when not using them. How do you think these changes will affect your power bill? I love planting these! Mainly because you can make lemonade first (yum! ), but also because you get pretty quick results. It only takes about three weeks for a lemon seed to sprout. Homemade lemonade, anybody? Yes, please! Chart how long it takes for your seeds to germinate. Place them in varying light sources and compare the results. Use different types of soil. Does this have any affect on their growth? Research how planting a tree helps the environment. TIP: Your lemon trees will make excellent Christmas gifts come winter! Eat vegan for one month. This would be challenging, but oh so interesting! Turn a journey to healthier eating into a science experiment. Have some routine blood work done before and after your month of healthier eating and see how the numbers compare. Study how the food choices we make affect the environment? What do you think the results of your blood work will show? Under the microscope: Look at lettuce under the microscope. It’s pretty cool! 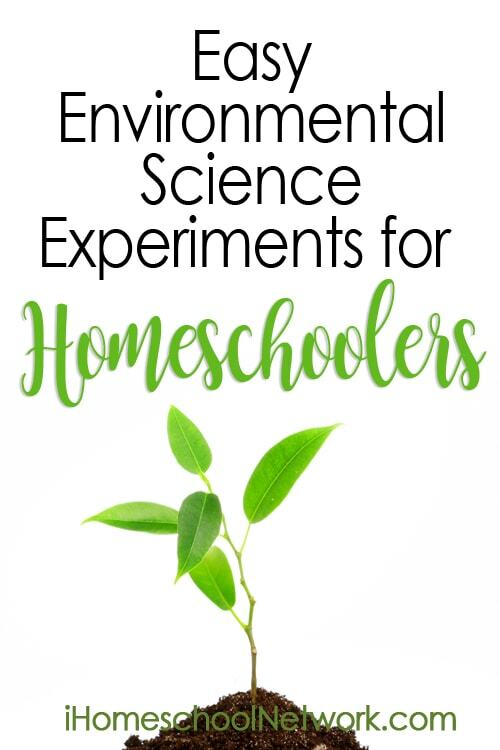 What are your favorite earth friendly science experiments?